Private Dining Room 2 flaunts beautiful original 1927 wallpaper on its walls which helps separate the room from our other spaces in the building. 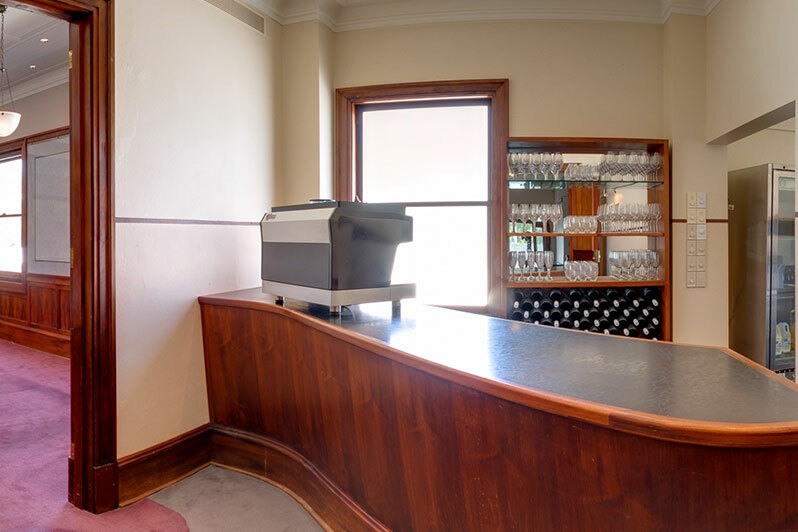 It features its own bar space and kitchen, formally used to cater for the Prime Minister’s private dining. 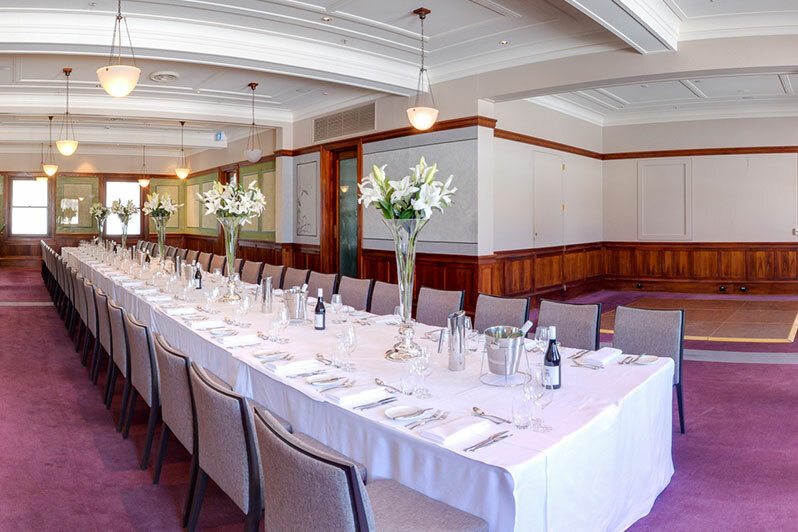 With a view of the Australian Parliament House and access to the Queen Victoria Terrace, this space is ideal for any event. 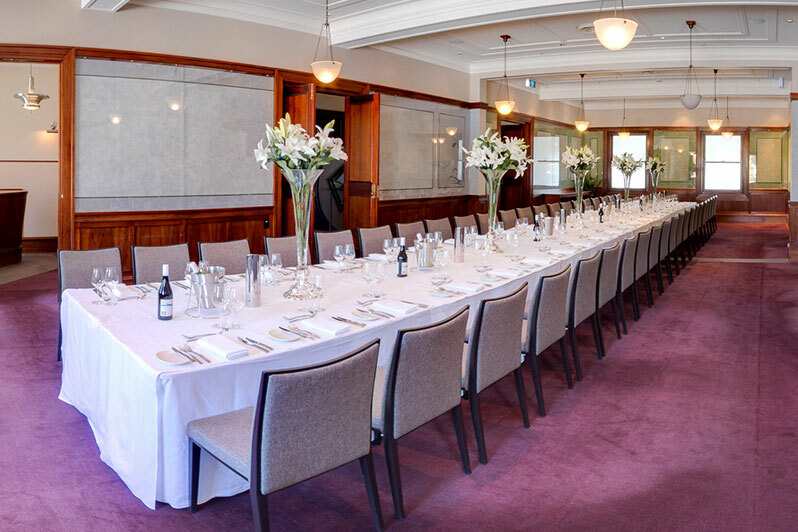 What we now refer to as Private Dining Rooms 1 and 2 witnessed many additions, modifications and reconfigurations during the 61 years that parliament was in this building. These rooms are perfect examples of how growth in the numbers of people working in the building caused a remarkable amount of change to the building as it struggled to accommodate everyone. Originally, there were two Private Dining Rooms and the Senior Officer’s Dining Room that fit into both these spaces. The senior officers included the clerks of the House of Representatives and the Senate. Gradually the wing was extended eastwards to create more room. 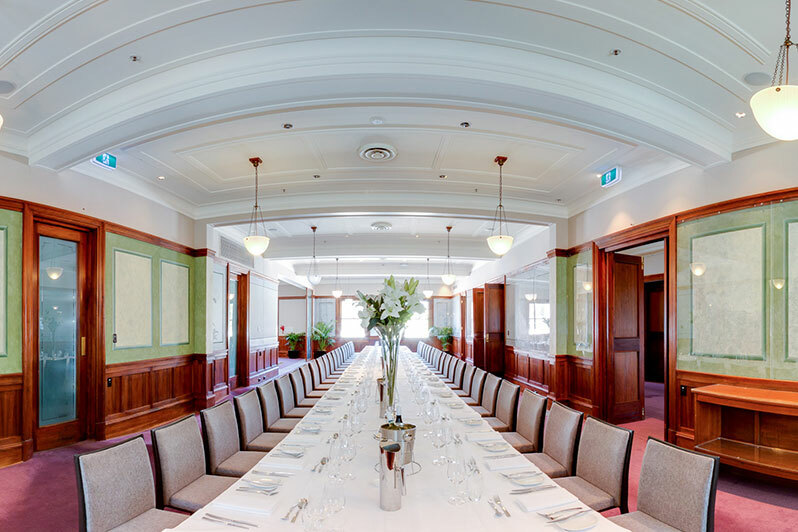 Between the 1940s to the 1980s the precinct featured a staff dining room, a servery (a room used for the preparation and serving of food other than a kitchen), a cocktail bar, a billiards room, a set of Special Dining Rooms (including used by the Prime Minister privately at times), and a Committee Room.